January 16, 2018 – It’s a new year and our creative side is currently ticking with ideas on how to host a cozy night in at The Modern. Each of our apartments offers ample space to host guests for anything ranging from movie nights to seasonal dinners. 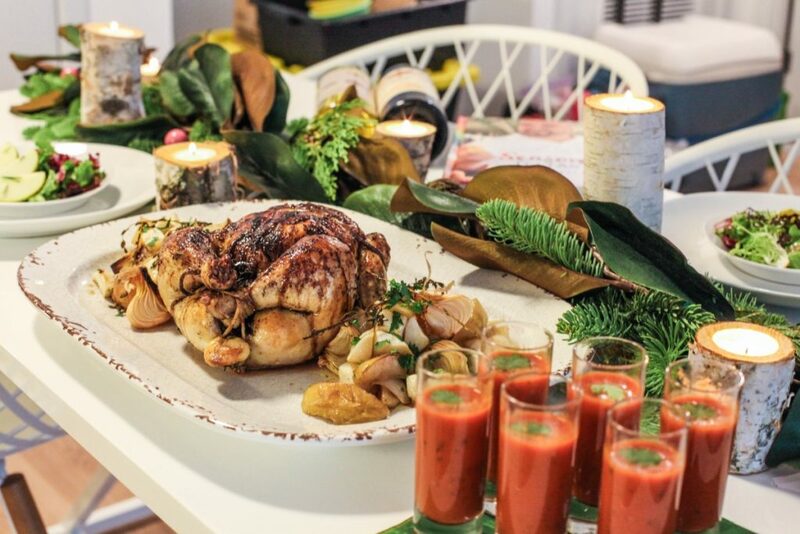 We met with the DC-based chef, storyteller and author Jonathan Bardzik along with Michelle DeLucia from the boutique staging and design firm, Suburban Staging, for a comforting winter dinner and expert tips on how to plan them. Just remember, this is your time to shine, so tap in to your creative side and take a look at a few tips for entertaining your guests. Taking a seasonal approach to your dinners is a great starting point that will help guide you in preparing for the night from start to finish. For the winter, consider décor that evokes coziness, such as shimmery lights, pine cones and white accents. Your table also plays a huge role in setting the mood for entertaining. 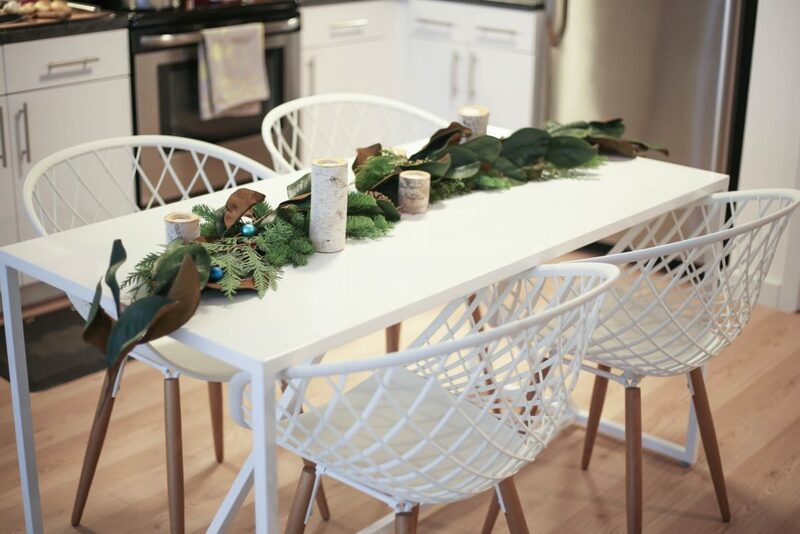 “Put together your own easy dining table centerpiece with winter plants and fruit ranging from kumquats to cranberries,” suggested Michelle. These touches will help establish the mood for your guests and add a personal touch. 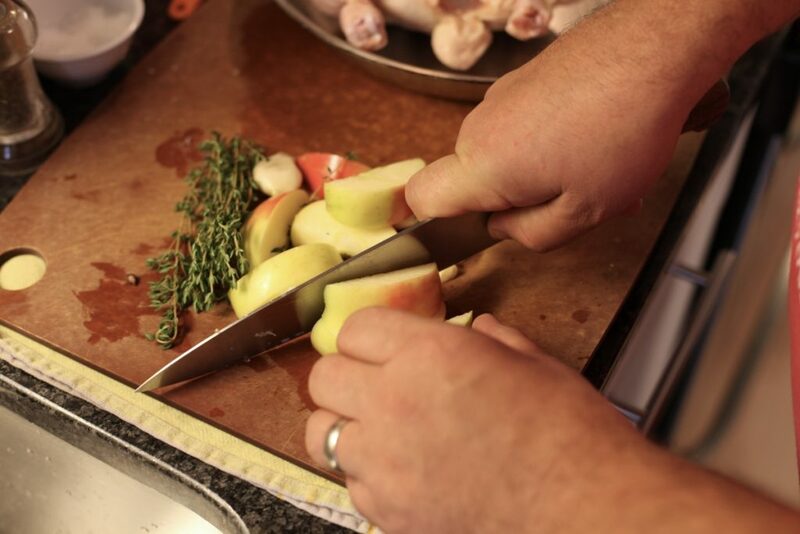 When hosting groups, it’s useful to have basic kitchen tools and ingredients handy so you can prep with ease. Make sure you have your plate sets ready, along with serving equipment like platters, ladles and tongs. White plates and serving dishes are elegant and offer greater flexibility when serving. Don’t forget to also double check your pantry for essential herbs and spices. Chef Bardzik recommends stocking up on fresh herbs to add edible garnishes that elevate your meal. Executing a three-course meal may feel overwhelming at first, but you can conquer any dinner party with good planning and preparation. Start by brainstorming basic flavor profiles that are representative of the season. For the winter, think of seasonable vegetables you can highlight and mix with warm and comforting notes such as curry, star anise and cardamom. Consider your main protein and how you can make it the focal point of your meal. Visit Chef Bardzik’s website for more inspiration and for the recipes he created for our winter dinner. Hosting 101 Finally, our most important tip is to just relax and be yourself. “The most important thing you bring to the party is you,” advised Chef Bardzik, and we couldn’t agree more. Remember your goal is to have fun and enjoy your time with your guests, so throw on some of your favorite winter tunes and enjoy the process. If you’re interested in scheduling a tour of one of our units, give us a call at 888-306-3899 or reach out to us online for more information.